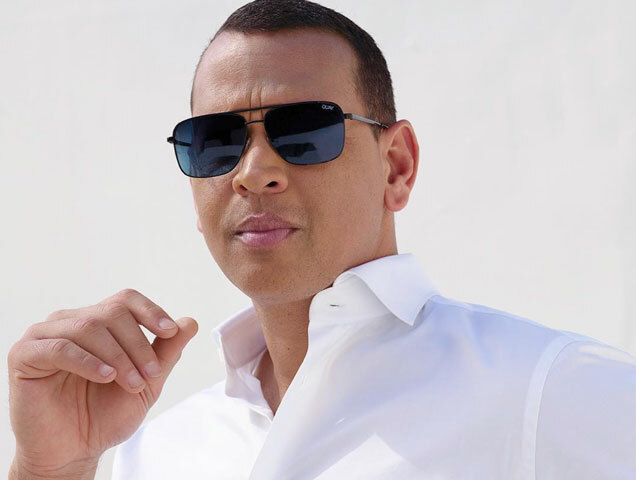 About two weeks ago, Jennifer Lopez and Alex Rodriguez were making headlines everywhere with Instagram photos showing off a $1 million engagement ring. Now, they’re showing everyone why they’re the hottest power couple in Hollywood with their campaign ads for the affordable and stylish sunglasses brand Quay Australia. J.Lo has made an Instagram post commemorating the release of the Ouay Australia campaign saying, “You guys know that I’m ONLY about things that I really love, and if you know me you know that @quayaustralia has become one of those things. They have literally become part of my daily life and Alex’s too. I am SOO excited to share our collaboration that we’ve been working on. For men and women: #QuayxJLo #QuayxARod. Quay x J.Lo has 14 pieces featuring luxe metal accents, oversized shapes, shield and aviator frames and flashy lens finishes. The male counterpart is Quay x Arod. The collection was inspired by Rodriguez’ athletic superstardom and his laidback and effortless fashion style. Quay x Arod has 11 pieces featuring polarized lenses and premium materials for max durability on Wayfayer and aviator frames. Both collections are in an affordable price range of $50 to $60. Quay x J.Lo and Quay x Arod are available now and perfect for the sunshine of spring, but you have to snag them ASAP since some pieces are already running out.